Google and Sprint have partnered to release a new mobile payment system that uses Near Field Communication or NFC. Bloomberg reports that the service will be launched on May 26th and will be available on phones from Sprint. Google Inc. (GOOG) plans to unveil a mobile- payment service May 26 that will be available on phones from Sprint Nextel Corp. (S), three people familiar with the matter said. The service will let consumers with specially equipped phones that run on Google’s Android operating system pay for goods and redeem coupons with their handsets, said the people, who wouldn’t be identified because the plan isn’t public. The technology is available on the Android-powered Nexus S from Sprint, the third-largest U.S. wireless operator. 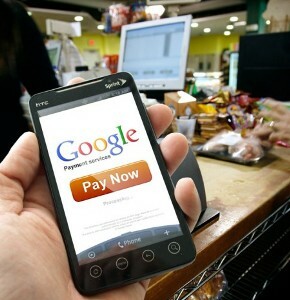 Google will announce a new mobile payments service on Thursday, Bloomberg reports. The new service utilizes Near Field Communications (NFC) and so will be only be available on those Android phones that have that technology – namely, the Nexus S from Sprint. At an event on Thursday, Google will unveil a mobile wallet offering that will allow consumers to make payments with their mobile phones. The company’s Executive Chairman Eric Schmidt will also give the service a more thorough demo at the ninth D: All Things Digital conference in a week.